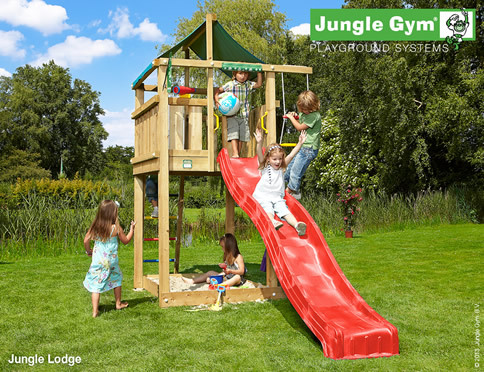 Garden Adventure offers a huge range of fun accessories, modules and outdoor climbing toys for creating customised climbing frames. 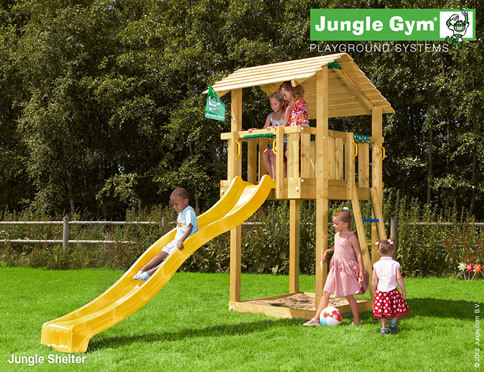 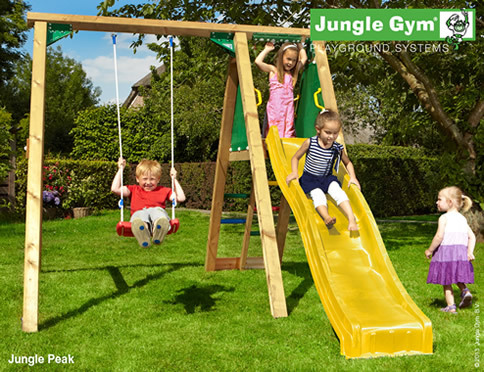 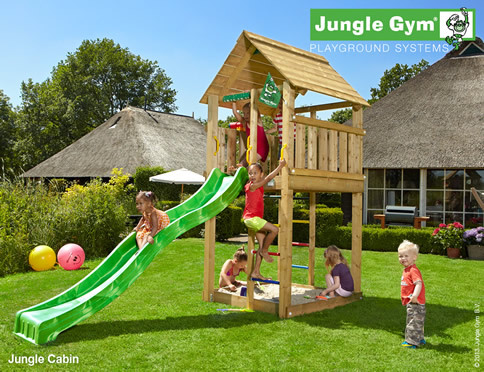 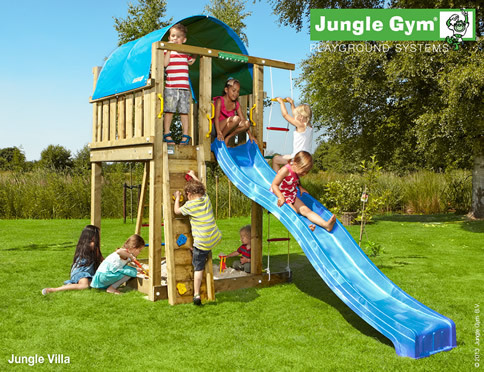 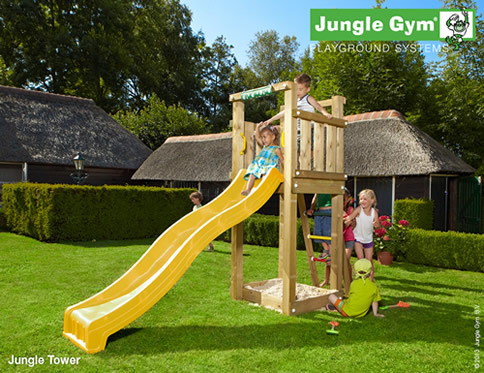 Please note that accessories and modules can only be purchased for use with our Jungle Gym range of climbing frames. 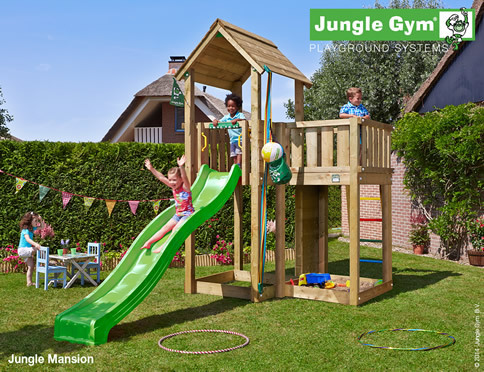 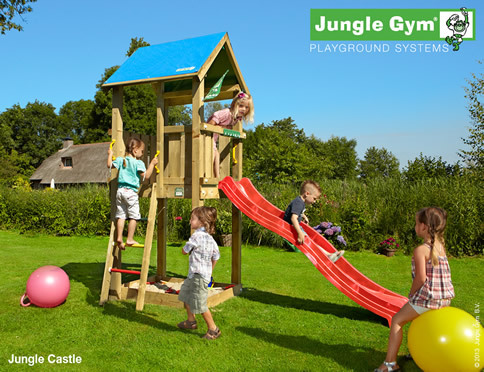 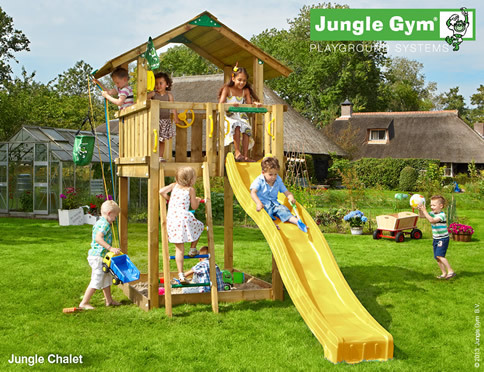 All Jungle Gym towers can be fitted with the Swing Module, which extends out from the main climbing frame and incorporates a two-position swing beam. 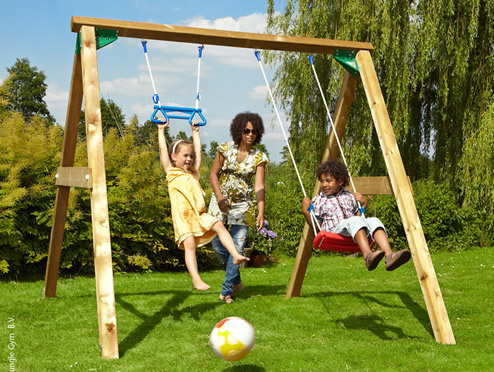 Includes swing hooks and two ground anchors, with swing accessories sold separately. 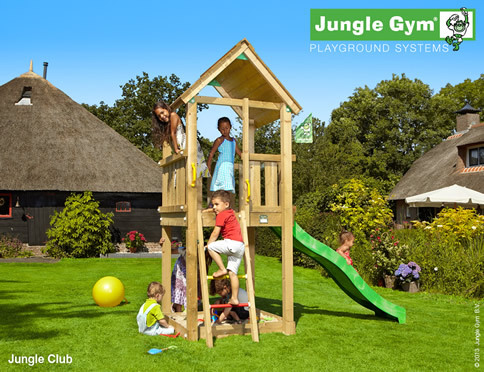 The Bridge Module is an excellent way of combining different Jungle Gym towers. 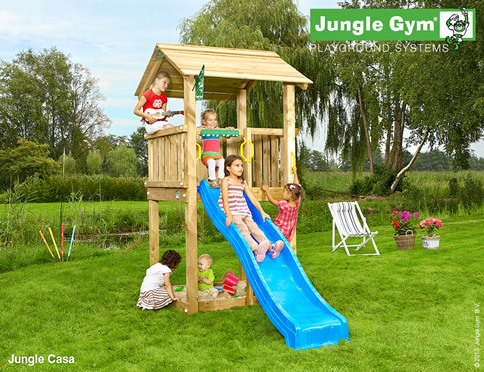 The module consists of a suspension bridge and a small tower, which has on one side a ramp with rope and on the other side, a climbing wall. 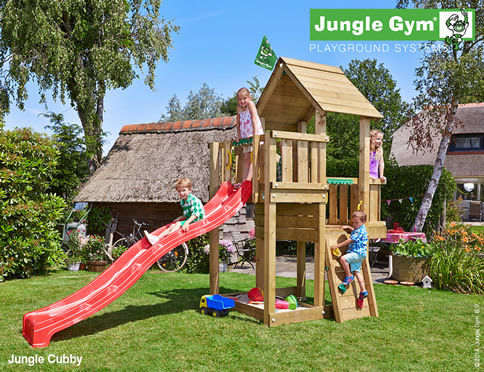 This easy-to-assemble activity toy can be attached to every Jungle Gym tower, allowing children to play noughts and crosses and other fun games. 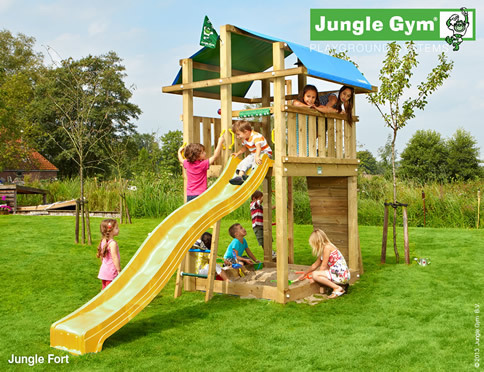 "Garden Adventure made my kids more than happy. 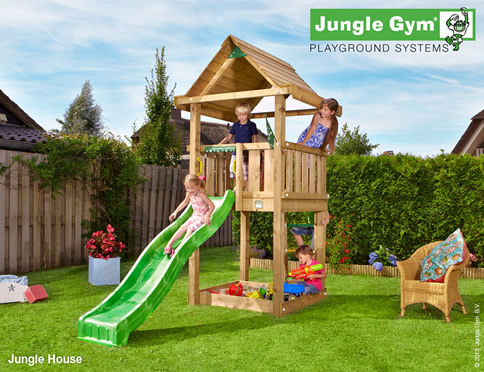 Courteous and professional, I can't recommend them more highly," said Dom Joly of Trigger Happy TV fame. 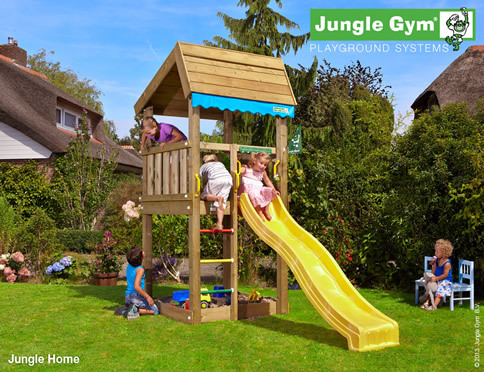 Dom employed Garden Adventure to install the Adventure 4 Pro and K2 combination. 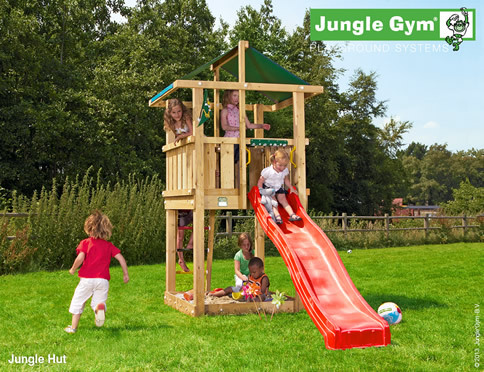 You too should find out the benefits of outdoor play ! 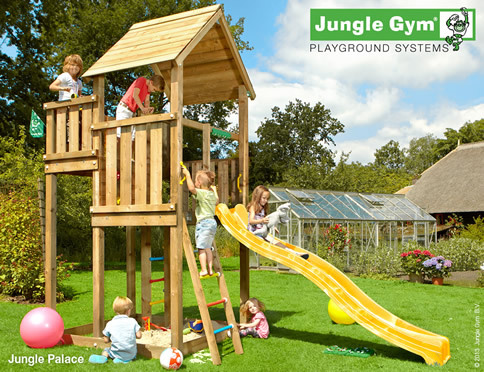 Click here for details of our climbing frame delivery service. 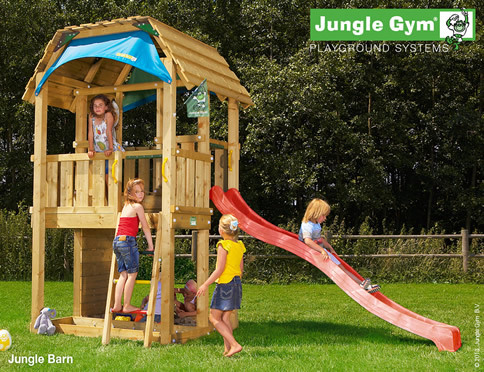 We also have information on credit card security and climbing frame warranties. 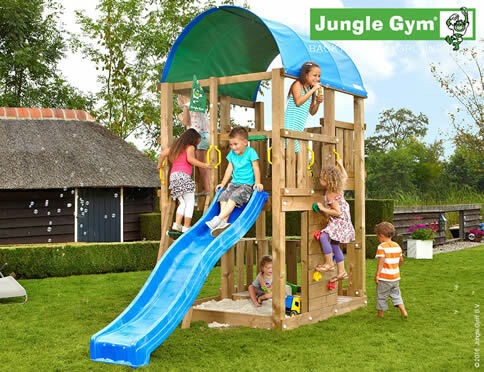 Those seeking commercial climbing frames for pubs, camp sites, hotels and other businesses should visit our Commercial Climbing Frames dedicated page.